Are You Ready to Be More Than You Can Be? Ever wondered what a modern day Frankenstein could be like? 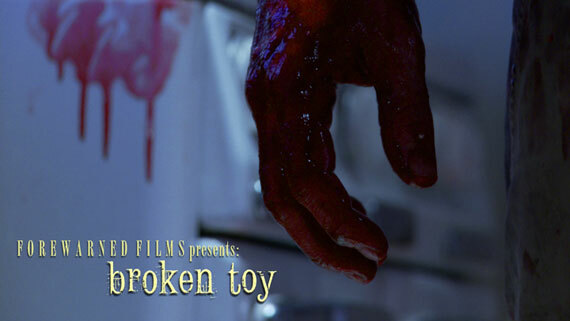 Broken Toy by Forewarned Films tells all about it. This new dark comedy slash military sci-fi thriller web series with an awesome hook has so far released five episodes, which is half of their planned produce, according to sources. From the very first scenes of the show, it’s clear that the story isn’t about some urban legend or a carried away conspiracy theory, although references to such are being made on occasion. This here is an ordeal of one guy with a good heart whose entire being was tampered with to create an invincible abomination, a multi-purpose killer-tool, a toy in the hands of his invisible players… At a gun point of rather intimidating machinery, geeky gadgets and technology, is a damaged person whose life had been taken from him. To get it back, he needs to go from being a monster to becoming a hero. Not a minute of the show’s production is being wasted-every scene is meaningful, well paced and serves rightly to advance a very intense plot. An astounding attention to detail is brought by surprisingly innovative photography, appropriate and very telling make up and costumes, spectacular acoustic effects, dynamic dialogues with catchy phrases and interesting turns. Great and clean acting too, believable and competitive, simply high class.